Sarah Marchley's mother died when she was 11, leaving her and her father Tony. Life changes very little until Sarah goes to university, and a range of new people enter her life, and Tony's, forcing change for the better or worse. 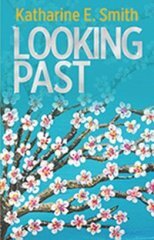 Looking Past is a tale of family, friendship, love, life and death – not necessarily in that order. Katharine Smith runs a small independent publishing business in Shropshire, alongside looking after her two young children and writing as often as she possibly can. Nuanced and realistic. Above all, a good read with the language crafted and engaging. A well written and empathetic story of a young girl's experiences of life's ups and downs. A thoughtful tale about relationships, loss, and love. Very well written, with well-developed characters that readers will relate to and root for. Highly recommended! A positive and wonderfully told tale of female empowerment. This is the story of a young girl's struggle to come to terms with a personal tragedy, and her development into a strong and independent woman. The prologue drew me into the story so that I wanted to know more; the characters are well drawn, the writing is excellent and I found it a very satisfying read.